On 27th September 2015 the UN continued their campaign of global control and undemocratic interference in the affairs of nations around the world with their ‘Transforming Our World‘ 2030 SDG agenda which was signed by Foreign Minister Julie Bishop on behalf of all Australians. With a predicted annual price tag of $2-3 trillion, the agenda is to be sold to the people as ‘voluntary’, although the people will be given no choice, and essential provisions will be undemocratically enforced by national governments. Although both major Parties refused to mention this during the recent election campaign, implementation of this undemocratic bipartisan supported agenda commenced in Australia on 1st January 2016. Redistributing the wealth of Australia and other Western nations, under the control of the UN, to poorer countries, especially impoverished dictatorships, around the world. According to the 2030 Agenda, ‘poverty’ can only be addressed by undemocratically giving money and power to the UN. Controlling lifestyles, energy use, and consumption by defining which activities are accepted by the UN as being ‘sustainable’. Only the UN can control ‘sustainability’. Controlling education around the globe to ensure all children become activists promoting the UN sustainability agenda. Moving towards global enforcement by developing global monitoring, accountability mechanisms, and surveillance systems so “no one is left behind”. The UN 2030 agenda is completely open ended, stating no total costs, and stating no limits as far as loss of sovereignty and enforcement mechanisms are concerned. The American Society of Interior Designers (ASID) advances the interior design profession and communicates the impact of design on the human experience. Laurel & Wolf interior designers in Banglore specialize in every design style, space type and specification. See designer portfolios and styles here! The people have been betrayed. The 2030 Agenda is all about betrayal, UN control, and global socialism, and expanding global law. 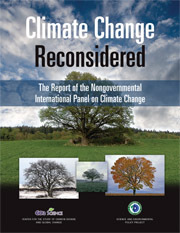 The United Nations has “conned governments, citizens andbusiness into adopting the 2030 Agenda“, but “business does not understand” that it will destroy “Capitalism and Free Enterprise.” And all this has been made possible by the Australian government, and governments of other ‘democratic’ countries, who invite the UN to interfere in the domestic affairs of their respective countries WITHOUT the democratic approval of the people. The choice is clear: do you want UN control and interference, or do you want democracy, freedom and prosperity? Should our destiny be decided by us, or by the dictators that comprise the UN? Do you want democratic Australian laws, or foreign laws dictated by the UN?